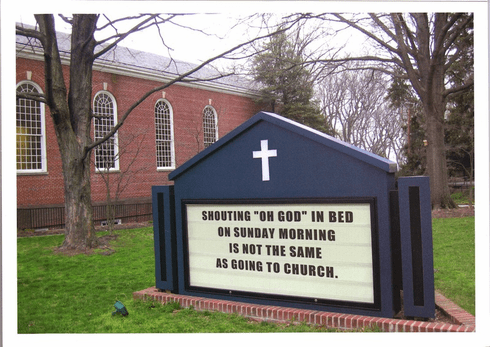 Home > Shouting "Oh God"
Outside: Shouting "Oh God" in bed on Sunday morning is not the same as going to Church. Inside: It's your Birthday. Sin a little.